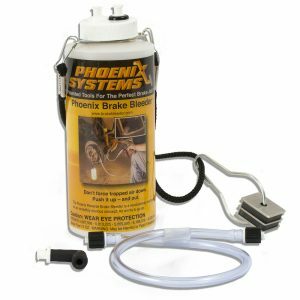 For bleeding hydraulic brakes on European vehicles, Phoenix Systems has got the car brake bleeding kit for you! 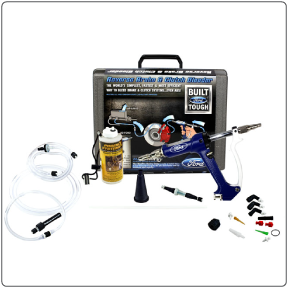 The V-12 European Brake Bleeder is a professional brake bleeder tool used by countless ASE Certified Mechanics for brake system flushes and clutch fluid flushes on a daily basis. 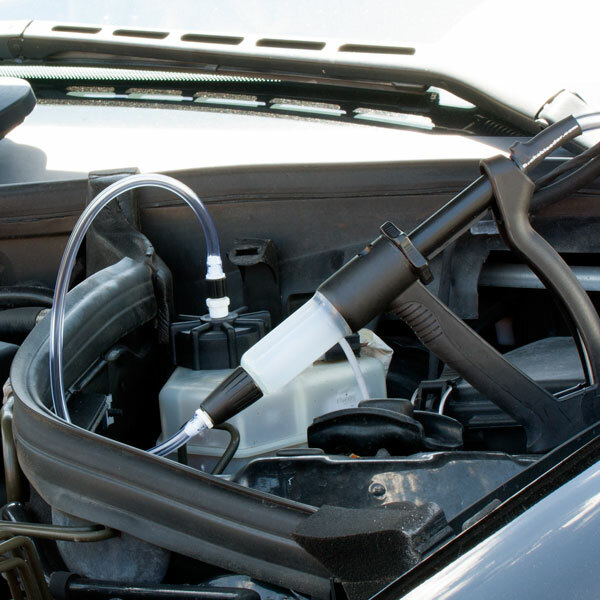 The hand pump is made of high strength nylon zytel and is fully rebuildable. 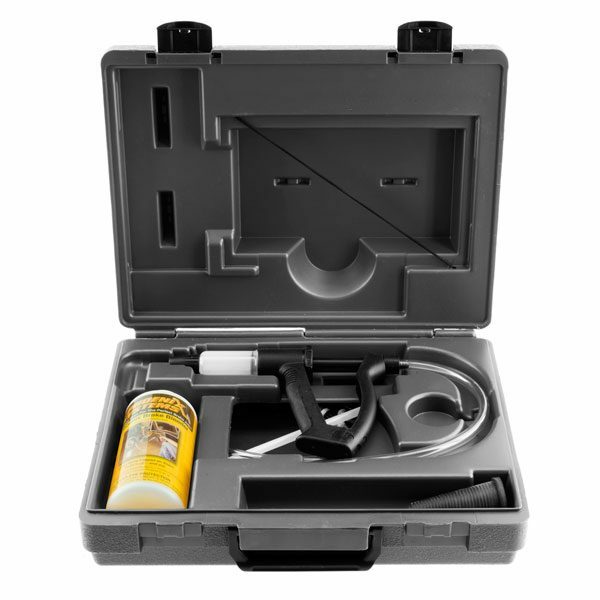 As an added bonus you will also receive a 1 year warranty and toll free live tech support. 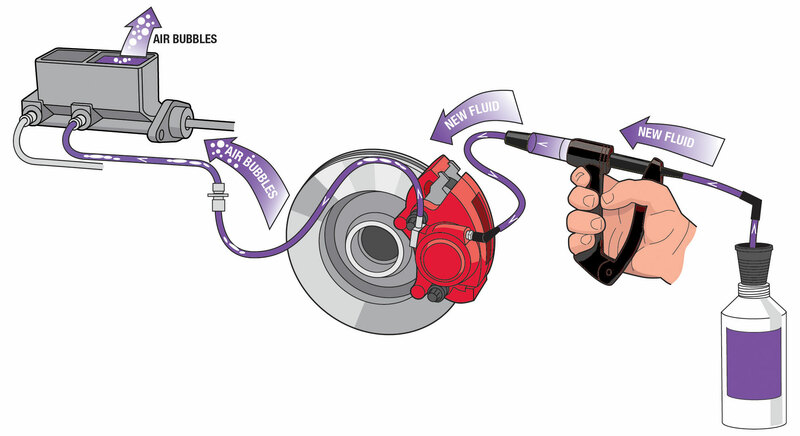 The provided master cylinder bleeder valve cap fits most European vehicles, including BMW, SAAB, Mercedes, Porsche, Alfa Romeo, Audi, Fiat, Renault, Volvo, VW Volkswagen, Peugeot and any other vehicle with a 45mm threaded fluid reservoir cap. 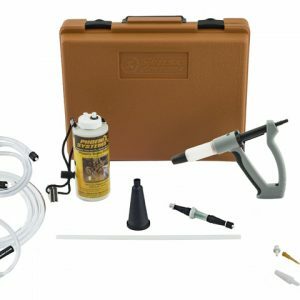 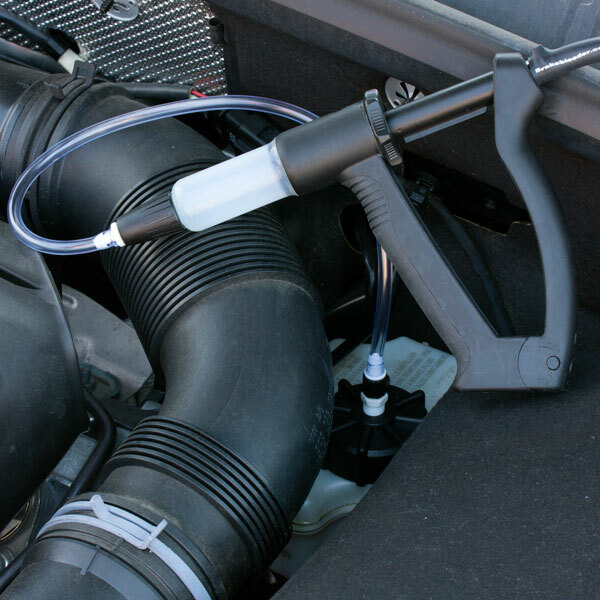 The reservoir cap allows you to use the V-12 as a pressure bleeder (top down) and assists you when reverse bleeding (bottom up) by collecting brake fluid as it fills the master cylinder reservoir. 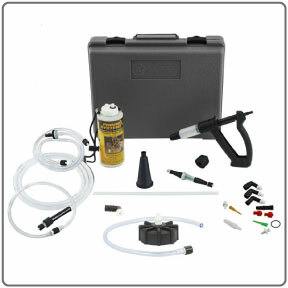 The V-12 is also capable of performing vacuum brake bleeding and bench bleeding. 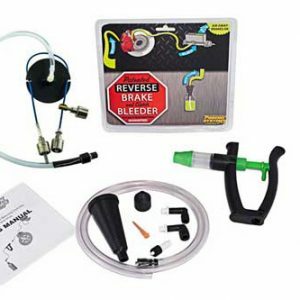 Reverse Bleeding is the preferred method to remove trapped air from a brake system or for brake fluid replacement. 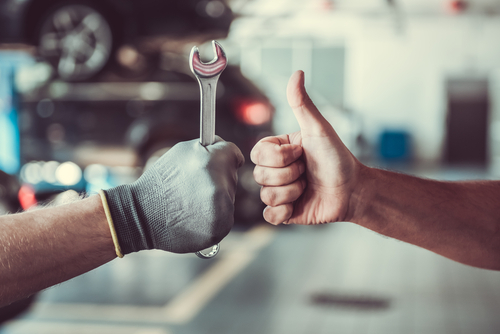 Whether it’s on the race track, in busy service centers or inside the comfort of your home’s garage, this is one brake bleeder tool you don’t want to be without! 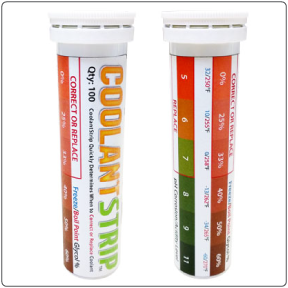 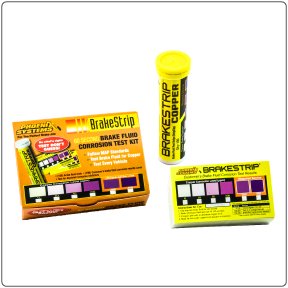 For a simple and effective brake system flush, order your European car brake bleeding kit from Phoenix Systems today.